i saw these on the craft magazine blog earlier this week. they are so cool! 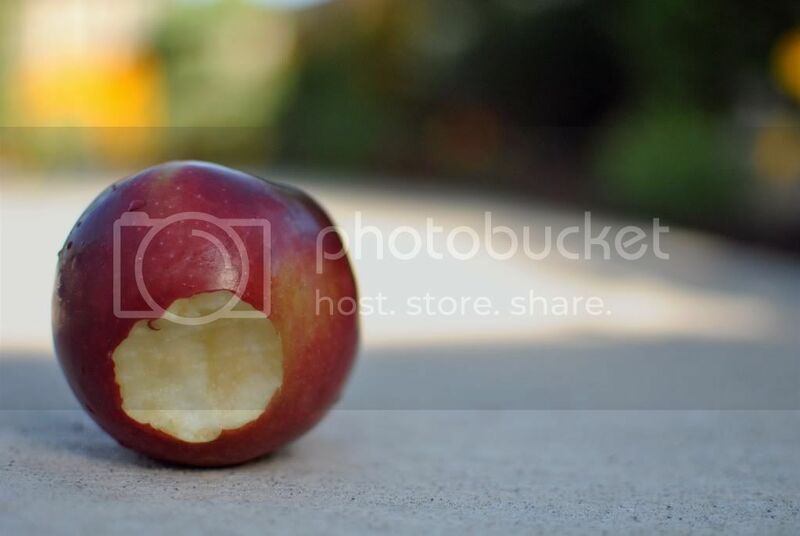 i love apples all the time but i especially love them in the fall. the cooler weather we have had this week is getting me very excited. 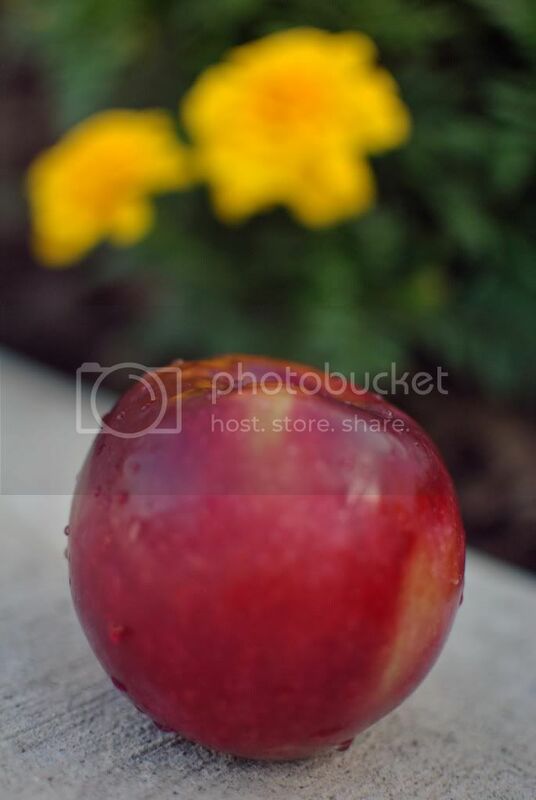 i really really want to go apple picking this year! i was re-watching a bunch of episodes this week and this show makes me laugh so much! there are only 2 seasons but they are amazing. you should absolutely check it out. for real! "move over refrigerators, here's what's cool". 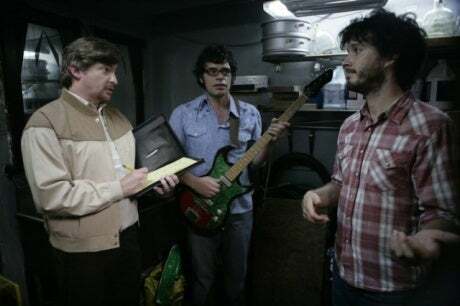 does anyone love flight of the conchords already? eeks, have i mentioned that i am in love with pretty much everything in this shop?! beautiful. ok i'm off. my day will include: 1. exercise, maybe i should try to go for a run...it's so nice out. i'm a really bad runner though, haha. 2. get my buttons ready to print, 3. get crafty! sounds good! i totally need those orange owl bookends!! Great items! But I think I love the bowling pin bookends best. i love book ends! i don't have any but once we get a bigger place i will for sure! also, running...psh, i can't run either. i pretend i can sometimes and 'go for a run' but i prefer exercising in the comfort of my own home. Love your blog, and your shop. I've been "stalking" your stuff for awhile now, but just made it official! visiting from Freckled Nest...would love to win that yellow bow! Those veggies are PRECIOUS! I'm freaking out. you are officially the coolest thing in the entire world. HOW on earth do you make those!? i wish i was that talented!!! adorable blog by the way. love. 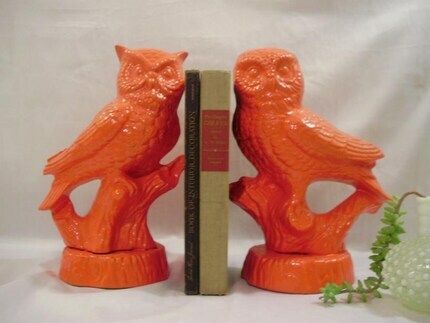 love those owl book ends and you can never go wrong with orange, at least in my book! i am totally in love with jermaine, she is freakin cute, i love business socks! 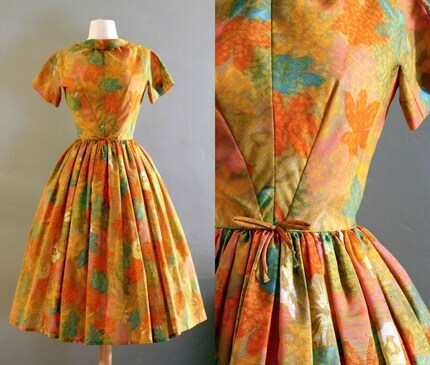 awesome vintage dresses too, their stuff is really amazing! FOTC is my favourite too! Nothing like some Brett and Jemaine to perk up a Friday! I love The Flight of the Concords! That red dress is so cute! Those veggies are too great. So dainty. 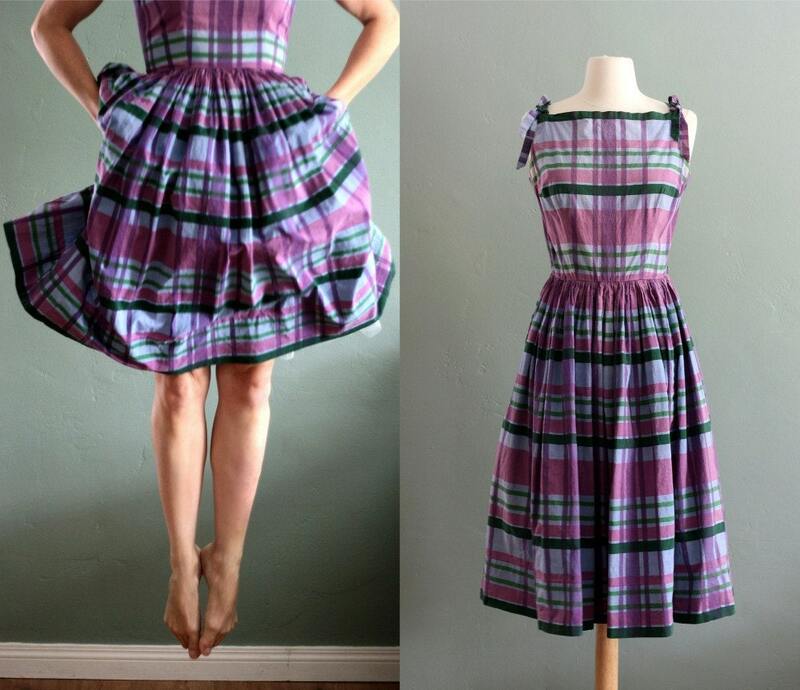 I need that plaid purple dress. Those veggies are AWESOME! Come to Brantford, we will go apple picking together! Haha. omg orange owls and crocheted vegetables..amazing!! Oh my gosh those veggies are soo cute. 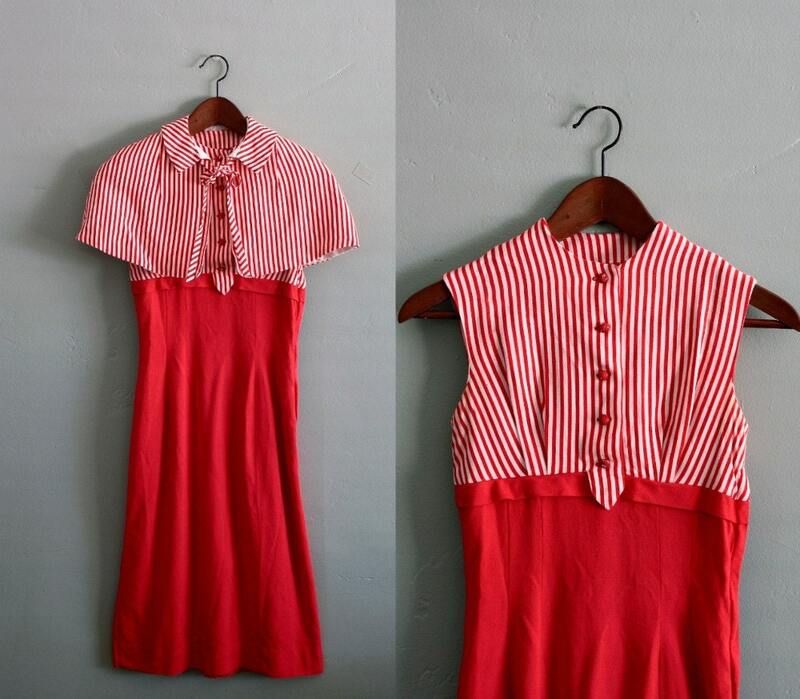 And I just love vintage clothing. The shapes of the dresses are sooo flattering and pretty! I just found your cute little blog. 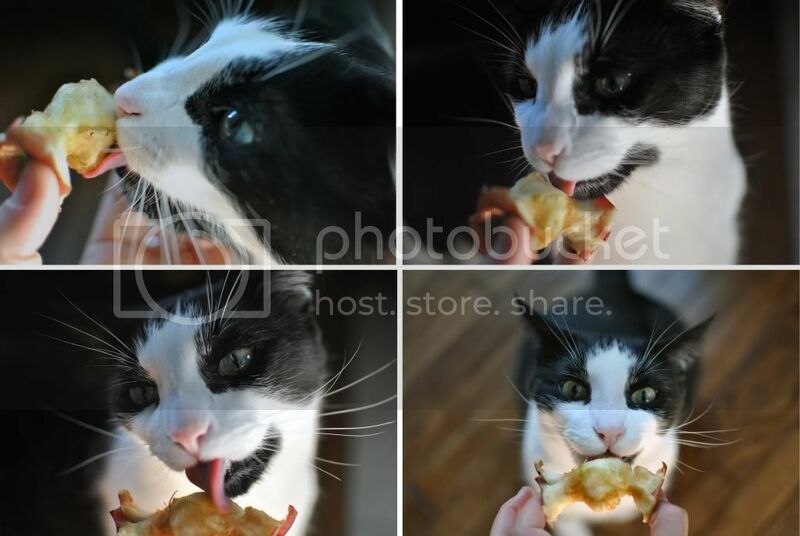 I can't believe your cat eats apples! How funny! And I love those crocheted vegies! So clever! Those veggies look good enough to eat. What a fun roundup! The veggies are incredible. 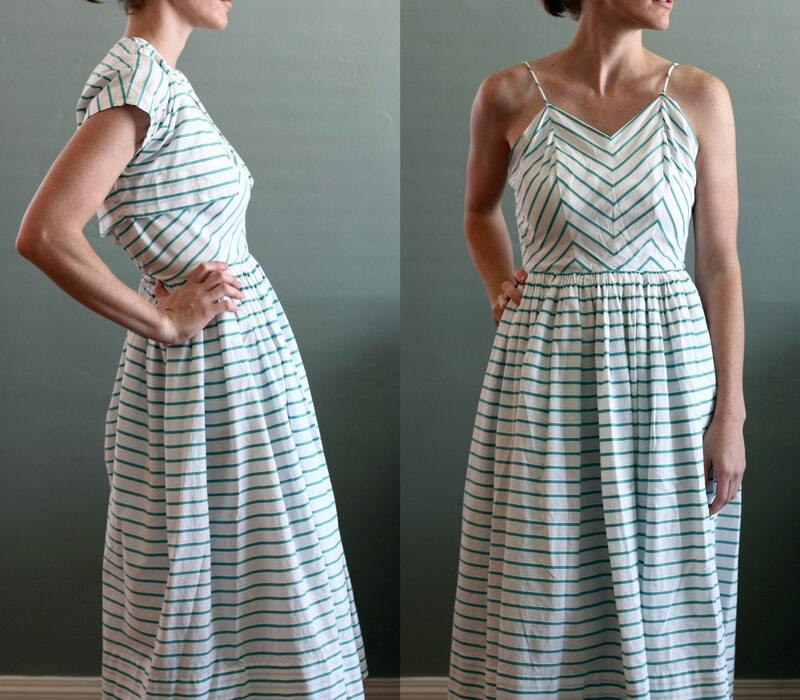 Love the dresses at Flourclothing! Definitely eye candy. Have you seen the movie Eagle vs. Shark? If you haven't it's a must if you're a fan of Flight of the Concords. Thanks for popping by my blog. I know what book (Boutique Knits) you're talking about! Lovely patterns. I've been eyeing them on Ravelry. Are you on Ravelry? It's incredible. really likin those things too. and just saw your shop, the rose headbands are so so pretty! Yep. That's what I needed. 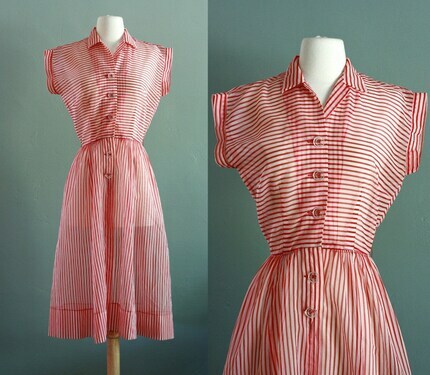 Another vintage clothing store to drool over. I'm resigned to the fact that I will never ever have a savings account. Sorry! That last comment was me. The boy signed in to Google on my computer. Darn you boy!!! 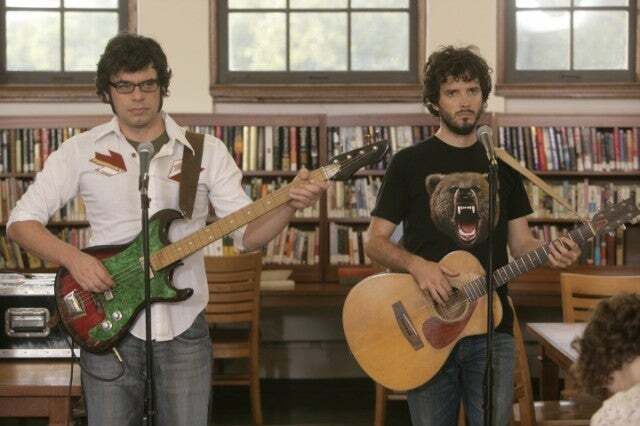 Flight of the Conchords!!! YAY! I have not watched flight of the conchords, but my best friend told me to watch it and then I forgot.. so thanks for reminding me ! beautiful blog and i love your shop. i love the stuff you love. especially flight of the concords. The crochet veggies are just amazing, they look so real and yummy! Oooo, love the crochet veggies and those orange owls are to die for! Love! Fun blog...popping in via The Freckled Nest. 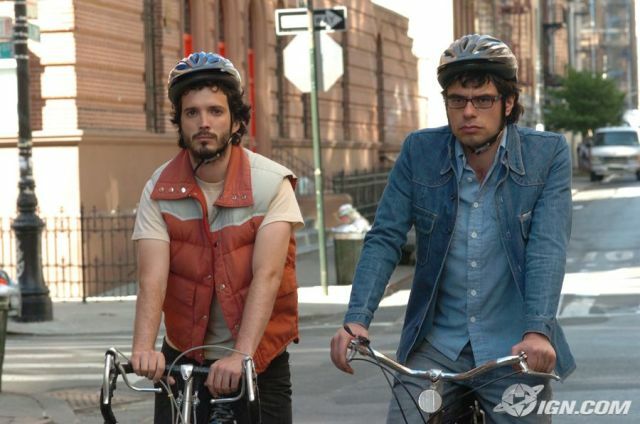 LOVE Flight of the Conchords! Just seeing their pictures crack me up ... they're awesome. I'm glad I found your blog! Love the bowling pin bookends! .. and your Etsy shop is so cute!